Looking to climb with a group of women and meet new climbing/training partners? We are pleased to say that from Monday 3rd of September we will be hosting a regular Women’s Club Night. By popular demand, a women’s social club with a female instructor or coach. A supportive, friendly, welcoming group, meeting weekly to develop climbing skills and meet new climbing buddies. 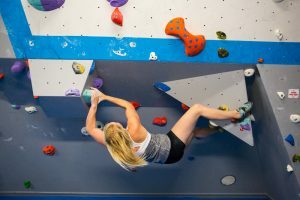 Each week will have a slightly different focus, be it bouldering in the Loft, using the Training Room or trying routes in the Main Hall so there’s something for everyone. Our friendly coach will be on hand each week to offer advice, climbing tips and loads of encouragement and enthusiasm! From 6.30pm every Monday evening (except Bank Holidays). The female coach will be there from 6.30-7.30 to introduce everyone and give ideas for the session. Just pay your usual wall entry and ask at reception for the Women’s Club. See you there! 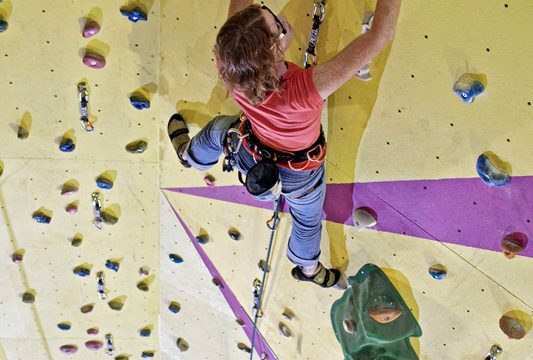 Please note – You will need to be over 18 and a competent belayer. If you need to learn to tie in and belay, or feel you would benefit from refreshing your skills, perhaps consider our Beginners Course.